Leading fashion specialty retailer Nordstrom, Inc. is pleased to announce Nordstrom Local – the company's latest retail concept and neighborhood hub where customers can shop and access Nordstrom services in a convenient, central location. 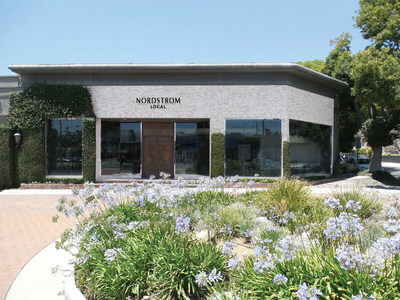 This brand new Nordstrom experience will launch in West Hollywood on October 3, on the same day as the company's Westside Pavilion store relocation to Century City. "As the retail landscape continues to transform at an unprecedented pace, the one thing we know that remains constant is that customers continue to value great service, speed and convenience," said Shea Jensen, Nordstrom senior vice president of customer experience who led the Nordstrom Local initiative. "We know there are more and more demands on a customer's time and we wanted to offer our best services in a convenient location to meet their shopping needs. Finding new ways to engage with customers on their terms is more important to us now than ever." Nordstrom Local will have one styling suite and eight dressing rooms surrounding a central meeting space where customers can sit comfortably, enjoy a glass of wine or beer, and chat with their Personal Stylists. Customers will also find Alterations & Tailoring and Order Pickup at the entrance, and items can be hand-delivered to a customer's car via Curbside Pickup. Same-Day Delivery – Available for completed alterations or purchases, and delivered directly to a customer's home on the same day, if ordered by 2pm. Curbside Pickup – Alterations and Buy Online, Pick-Up In-Store orders can be hand-delivered to a customer's car via Nordstrom Local's Curbside Pickup.